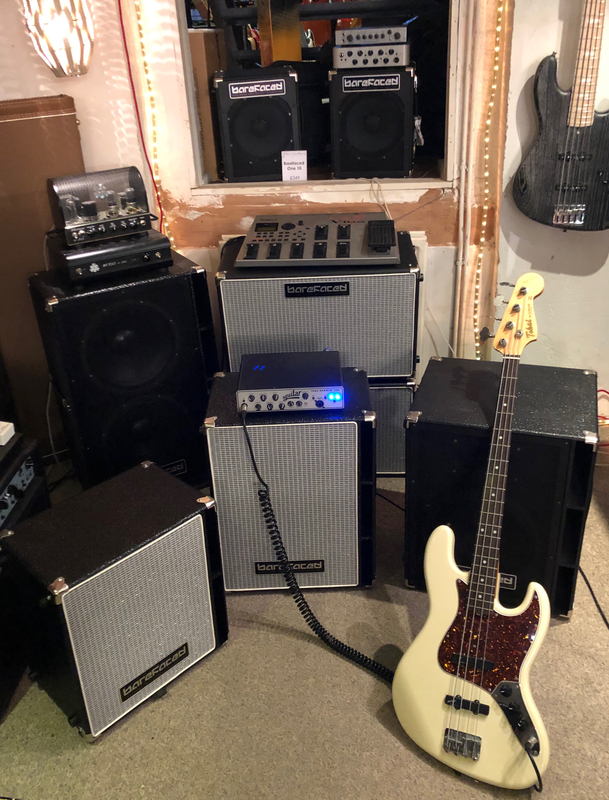 Barefaced cabs - Factory Visit & Review. Rarely see these in Australia but in UK in a couple of weeks and going down to Brighton to check these guys out at their factory - will report back. Last edited by lepparda on 28 Nov 2018, 20:52, edited 1 time in total. Please do! Would love to hear your experiences. Are you considering ordering one for yourself? A couple of those could come in handy. Been a Barefaced cab fan for a few years now. Previously owned a Gen2 Super 15. Currently own a Two10 and One10. Depending on the situation, i use them individually or together off a Genzler MG800. Awesome sounding cabs. 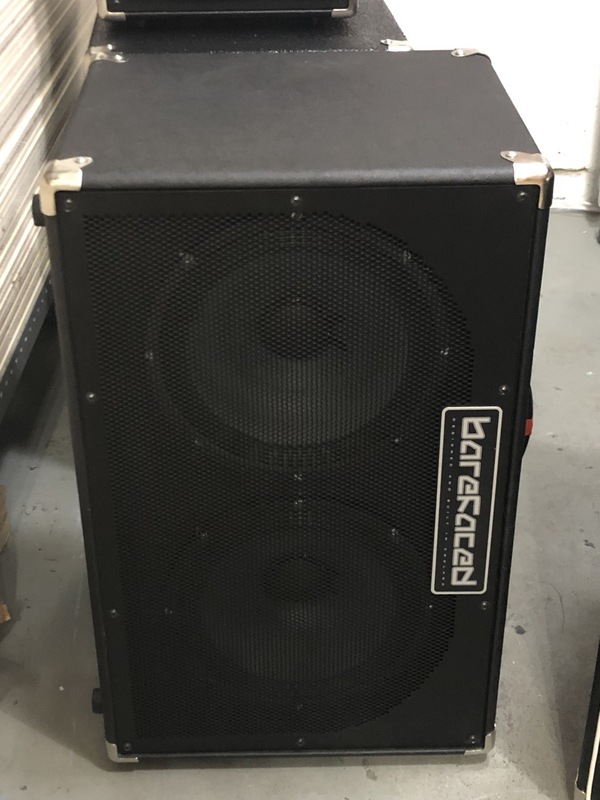 Is the one10 really as loud as a "decent" 1x15 cab ? No. Maximum loudness is limited by the driver displacement. The displacement of the ten that BF uses is 250cc. The displacement of the average fifteen is 325cc. However, the displacement of the average ten is 150cc, the average twelve 250cc, so the BF ten is equal to one average twelve and almost the equal of two average tens. Keep in mind, however, that the #1 rule of loudspeaker design is that there's no such thing as a free lunch. In order to take advantage of the higher displacement of BF drivers you must have sufficient power. If Driver B has twice the displacement of Driver A it will take four times the power to get the maximum output that Driver B is capable of compared to Driver A. The good news is that you may have sufficient power. Referencing the average ten with 150cc displacement, while said driver may be rated at 200 watts or more before the voice coil burns out, it will only take at the most 100 watts before running out of displacement. So what I'm seeing here is that the BF has traded efficiency (ie dB) for a better bottom end, but still in a reasonably not too big cabinet? Just use more amp power. They haven't necessarily traded efficiency for low end response, although that's possible. But yes, while a BF ten can go as loud as more pedestrian twelve it takes more power to do it. 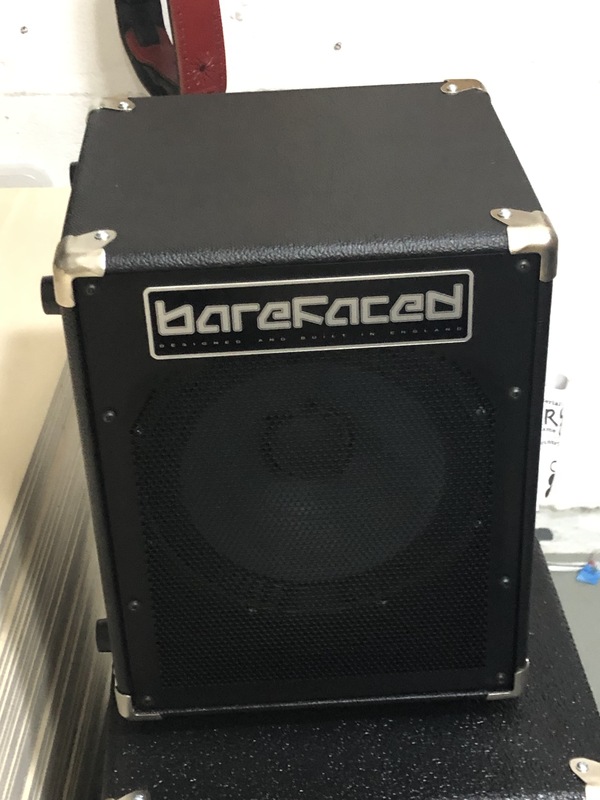 Went to the Barefaced factory in Brighton yesterday and tried out a few of their cabs. Harry and the guys there were so welcoming. Focussed more on the 10's as prefer that old school tone that these aim at. My pick was the Two 10 as at 14Kg and 500w it is the first 210 I have found that could cope with most of the pub gigs I play as a stand alone cab and as 'Harry' said you can walk in with this in one hand and a D Class amp in the other. The One 10 is amazing to for its size and you could gig with it at smaller venues/quieter bands or get two and put one on top of the other. The 410 is even more of a good thing, but there are other good lightweight 410's out there. Apparently Tim Commerford uses a 610 set up (or more) and loves it. The 12s are great too and tried out a Big Baby II and Big Twin II, but I found the 10's tighter and warmer. I can feel an order coming on. 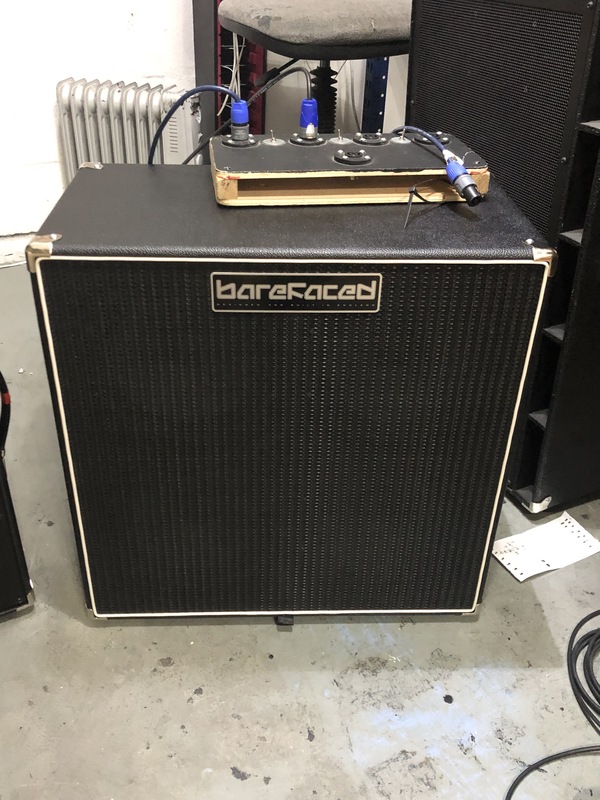 Re: Barefaced cabs - Factory Visit & Review. 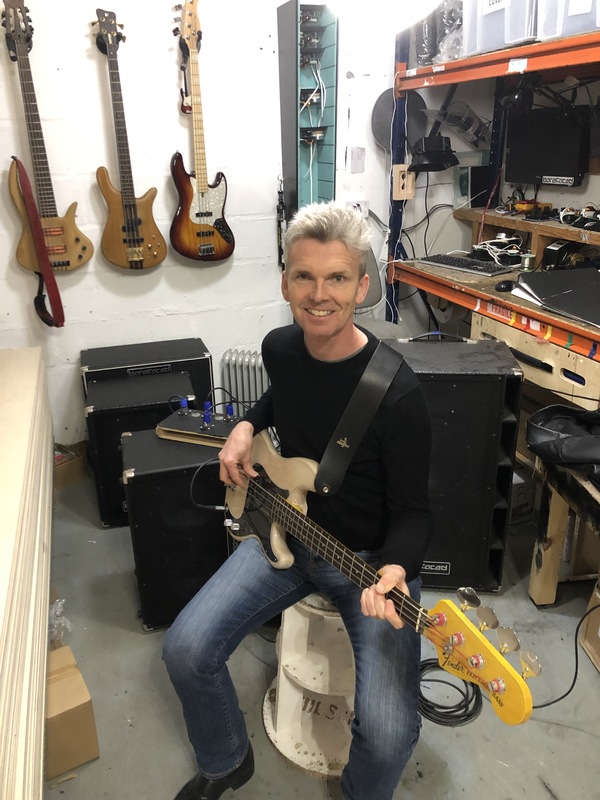 Also went to Bass Gallery in Camden and tried out a few more including all of the single 12 options.